My month in Belgrade is soon over. Times fly when you are happy and I have had a great time in a great city that has a lot of nice people! Its hard to understand that its only 16 yrs ago that Nato bombed this city and I dont know how to handle and think about that. But I do think. I have been able to wright a lot both on my next book and also other texts, and bloggs, that Im involved in. A chance like this, to write full time, is a chance of a life time, and I do belive that cultural exchange programs, meetings face to face, in our internet and facebook world, is more important then ever. Nothing beats a meeting, a discussion between people who can look into each others eyes, laugh and/or argue. Thats life! First, thanks to Ana Pejovic and Vladimir Arsenijvic at Krokodil who made it possible for me to come to Serbia. They are among the nicest people I met since… a number of years. Friendly and really fun to talk and discuss with! We had a lot of laughs but also serious discussion about human rights, womens rights, gender and equal opportunities. For sure, Sweden and the scandinavian countries are ahead in many of these questions but it has not happen “just because” scandinavians are “nice” people. There has been, and stil are, a womens movement behind. And the struggle for equal opportunities btween men and women will continue all over the world until we reach that goal. Its intresting to see that the World Economic Forum as well as the IMF are claiming that mixed gender groups and more women at the top of organisations will affect a whole country in a positive way. May it be within economics, regarding how we treat children, the enviroment or even peace processes. So lets go for equal opportunities for men and women, young and old, gays, disables and without discrimination towards anyone with a different ethical background then yours. 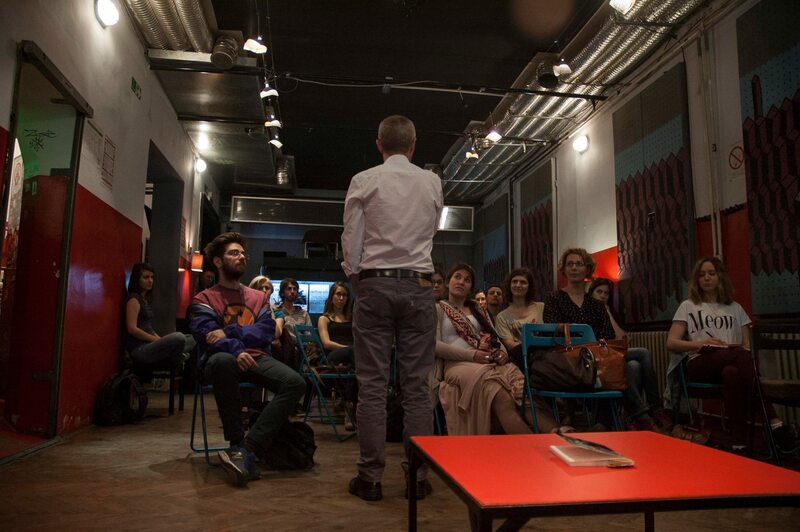 And last but not least, Ive met people at The seminars at Centar ze kultur dekontaminaciju in Belgrade and in Novi Sad at Omladinski Cebtar CK 13, thanks for inviting me! And other great people that I met, Christina Wassholm at KC Grad and Milica Nikolic and Lena Maricic at Skandinavski Kutak, and Maja Stajcic at Kvinna till kvinna in Belgrade, all of you thanks!